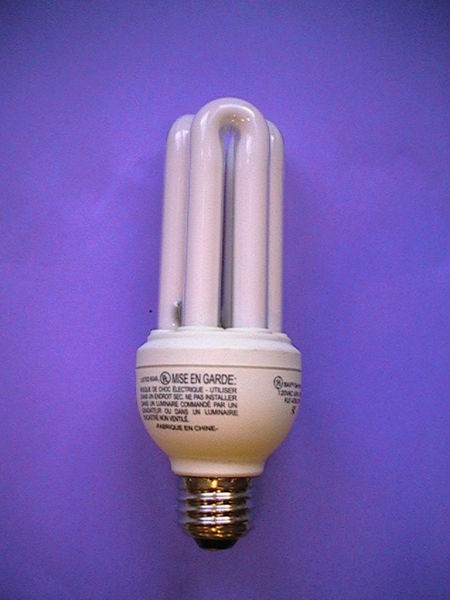 This little light Fluorescent Lamp annoys me, in the underdeveloped countries they have accepted hook, line, and sinker that this bulb that cost about 12-15 times the cost of regular Incandescent Light Bulb. It is annoyingly expensive, yet they purchase them. Fluorescent Lighting is believed to be the answer to all high electric bills. However... in the developing world. - They often remove bulbs when not in use. - They turn on and off about triple the amount of the richer countries. Turn on and off of Fluorescent bulbs is why this annoys me, they will turn them on and off at such an extreme level it probably shortens the life of a copy bulb and also used too much electricity. I am not in Kansas, these bulbs are at best sometimes third to fourth rate quality, yet in an a desperate haste to save electricity they use them. The bottom line on the next link says, if you are going to be away for more than 15-20 minute, then shut off the light. There is this belief about poorer countries. Like they do not know what a Condom is, or they think they are going to lose their souls to cameras. Many myths or idea from 50 years ago are still being told and stretch into a world that does understand some simple ideas. In fact, with a good marketing program, they can be sold very elaborate ideas like it is better to use Fluorescent bulbs always, this is not true.